The early centre of the families' activities was Kilmore. 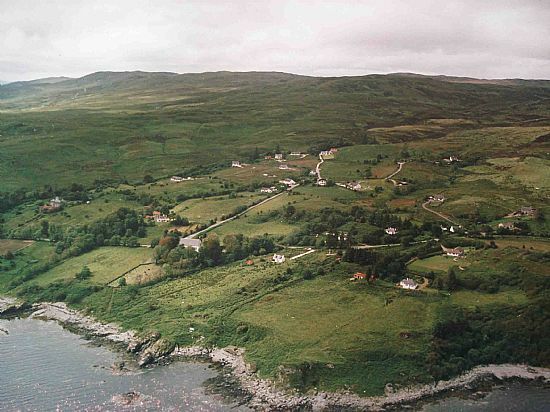 In common with most of the other croftlands in Sleat, Kilmore had been transformed from an old-style township in which the tenants were jointly responsible for paying rent to Lord MacDonald, to a crofting community, in which each croft was lotted separately This change probably occurred in the second decade of the 19thC. Duncan & Mary MacPherson are the first recorded forebears of the MacPhersons described on this website (Generation 1). Their children are listed in Generation 2. Angus, son of Duncan & Mary MacPherson, occupied No.3 croft at Kilmore in 1828 (and probably earlier, when rental records are missing). Angus died in 1847/48 and was succeeded by his widow Isabella/Subina, who had it until she died in 1886 (from 1858, it was a half-croft, 3a). Malcolm, their son held it between 1888 to 1901. Janet, Malcolm's sister took it over with her nephew Angus for the period 1906-1917. After Angus died in 1942, his sister Mrs M. MacKinnon succeeded. In 1858. 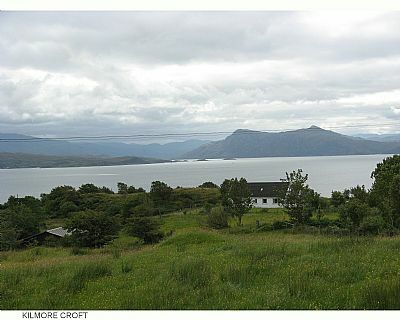 Angus's brother, Martin, took occupation of the northern part of the croft (3b), until his death in 1869. Martin's son, Angus 'The Soldier', was tenant of 3b with his sister Ann from 1882-1905. The last MacPherson to have No. 3b (1906-1944) was Donald Robertson MacPherson, son of Malcolm & Effie (Robertson) MacPherson, ie. he was a nephew of Ann. Relevant extracts from Censuses (1841-1901) for Kilmore & Tarskavaig are available on the Library Page. 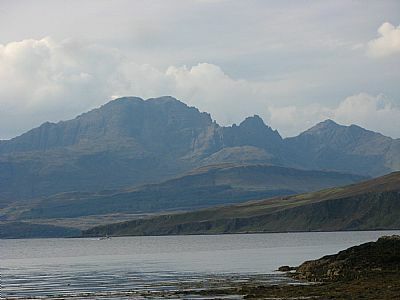 Malcolm, the eldest of Duncan & Mary's sons (known) was a crofter in Tarskavaig, on the west side of Sleat.